The Good - So many books have been written about time travel and gritty police drama, but somehow this one managed to come at it from a new direction. 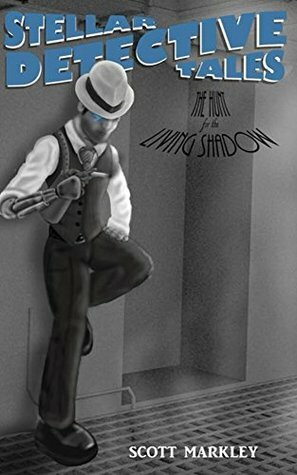 There are bits of sci-fi, bits of noir, and lots of adventure packed into one 222 page book. The characters have a good level of development and while the book takes place far into the future, there wasn't anything so "unbelievable" that you went hey, wait a second....In fact, I found the futuristic setting to have a realistic feel to it that allowed me to sink into it and keep reading. The Bad - This author badly needed to get his hands on a good proofreader/editor. While his story is great, his grasp of commas just isn't. While the author had manually made corrections in this edition of the book, there were so many more that needed to be made. I also spotted two times where the author had put the wrong name. The Summary - Great book that I won't hesitate to recommend, so long as comma misplacement doesn't bother you. I get paid to find these things so I know that they jump out at me more than they might the average reader. I'm also thrilled that this was written in such a way that it's clear that it's book one of a series. I'm eager to get my fingers on book 2 once it's released. This book and hopefully future books will have a spot on my bookshelves for sure. Want to pick up a copy for yourself? It's available on Amazon!